Could a Mature Timberland Asset Class Spur Conservation? 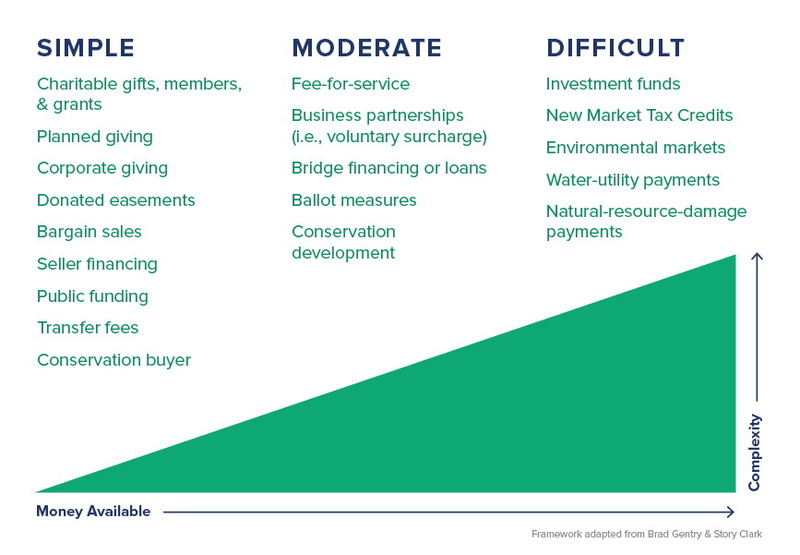 Sustainable forestry represents a major portion of conservation finance’s investable landscape. According to a 2016 Forest Trends report, “State of Private Investment in Conservation 2016,” sustainable timberland investments accounted for approximately 34 percent of all private conservation investments from 2004 to 2015. In a few Rust Belt cities that are seeking economic and social benefits, Greenprint Partners – formerly known as Fresh Coast Capital – is breaking new ground by financing fresh solutions for green stormwater infrastructure. It is using a combination of municipal, private and government resources. Its goals are to create a replicable model and expand the market. The National Philanthropic Trust’s 2017 Donor-Advised Fund Report found that the capital housed in donor-advised funds across the United States exceeded $85 billion in 2016. This represents an almost 10-percent increase since 2015 and a 28-percent increase since 2012. In this episode of "Voices of Conservation Finance," our guest was Bethany Olmstead, Conservation Manager with Working Forest Fund, a program of The Conservation Fund. She shared how her background in land conservation guides her work with The Conservation Fund to finance the acquisition and protection of forestland in the United States. She discussed how her passion for protecting land for wildlife habitat and public access can also provide economic benefits for local communities.